Our Alliance was formed on January 7, 2003 as a response to the growing threat to wage war against Iraq. The wars in Iraq and Afghanistan are a painful reminder that the work of peacemaking is vital. We must reach out to fellow citizens for understanding of the historic events happening today. 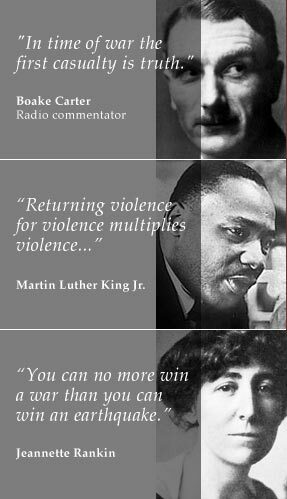 Please join us as we strive to end violence in our homes, our cities, our states, our nation, and the world. Witness Report from the Occupied Territories"
in Palestine with the Christian Peacemaker Teams. 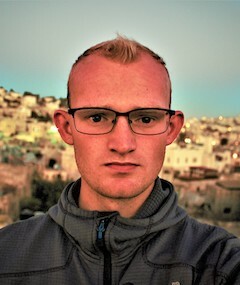 When: Sunday, March 3, 2019 , 1:00 p.m.
Special guest Michael Himlie will provide an update about his work and experience in Hebron, Palestine, the center of inner-city Israeli military occupation. Come to learn more about efforts for justice and human rights for Palestinians, the BDS movement and anti-BDS legislation in MN and the US. Michael Himlie, from Harmony, Minnesota, works with Christian Peacemaker Teams (CPT), in Palestine & Israel. CPT is an interfaith organization working in conflict and war zones around the world, committed to building partnerships to transform violence and oppression. Michael graduated from Manchester University in May 2017, majoring in peace studies, with particular interest in philosophy, theology, interpersonal mediation, and nonviolent intervention in Middle Eastern war zones, with a focus on Israel's occupation of Palestine. In 2005, 170 Palestinian civil society organizations issued a historic, rights-based call to the international community for boycotts, divestment, and sanctions (BDS) targeting Israel and institutions complicit in its oppressive policies towards Palestinians until it complies with international law and ensures freedom, justice, and equality (US Campaign for Palestinian Rights USCPR.ORG).